Florida’s greatest exponents of emo rock, Dashboard Confessional, return to Australia on the back of their first album in nine years, Crooked Shadows. After such a long hiatus, this new album is a reminder of the cathartic nature of the band’s emphatic and dynamic tunes that get to the core of matters, while taking no prisoners. 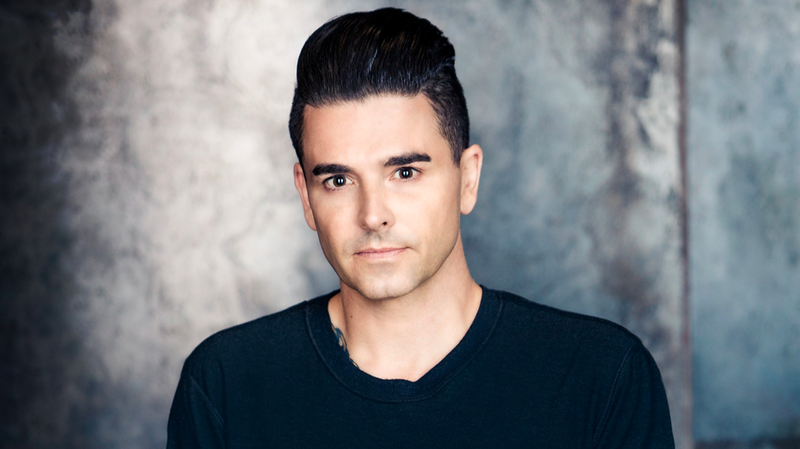 Chris Carrabba is a master storyteller who is unafraid to bear his soul. He actively invites the crowd to sing along at the top of their voice as he belts out anthems of raw emotion and energy. As well as playing some of the newest tunes and a collection of their hits when they play Capitol next Tuesday, December 11, the band will be playing their breakthrough album The Places You Have Come To Fear The Most in full. With the way that these introspective songs have connected with listeners since their release, there is bound to be tears and hugs aplenty. CHRIS HAVERCROFT spoke to Carrabba, the man behind these iconic songs. Did life get in the way, or was there other reasons for such a long time between records? Initially we were nearing that feeling of burnt out and that feeling like we were going to phone it in maybe. That wasn’t something that we were willing to do, so we decided that we would walk away instead. Then the songs kind of drove us back together. You know there is that thing where you have to give everything that you have got with total honesty when you have a crowd like ours. That was what I was weary of when we decided to take a break. I was worried that we wouldn’t be able to fulfill that part of the bond and I didn’t want to keep going. I would rather walk away than see that fade away. We have been playing again for quite a while, but it took about three years before we felt that we were going to write songs again. The impulse was to quickly write a record and to have something new, but we decided that it was more important to rediscover where we had left off before we decided to move forward with new songs. We wanted there to be a real drive to write new songs, because we didn’t want to write them just because we can and we know how to. Were you fearful that people may not connect to the new songs after having been away? No. That is not really ever my concern in terms of expectation of writing a song. I don’t really think about the person on the other end of the speaker until much later. My concern was whether I had something to say that was really important to me. And I found that I did and I do. There is something that is euphoric that sweeps over a room when everyday marches to their own emotional place. It may not be the same emotional place, but it happens at the some time and they all get to experience that together. Do you only write when you have something to say? Generally speaking, I write every day. It’s just that I don’t write for Dashboard Confessional every day. I could be writing for my other band Twin Forks or I could be writing a song for another artist, With Dashboard it really is driven by something that is mysterious I guess. I can’t sit down and craft it, I just have to sit down and wait. Often it comes like a wave, and at other times it comes in fits and starts perhaps. The trick when that happens is knowing when to not abandon them, and other times they need to be abandoned. I had it happen today as a matter of fact. I had written a small part of a song maybe two months ago, and when I woke up this morning the whole thing was there. It is kind of verbose. There is a lot of words and there is a lot to say in the song, the song is saying a lot. It came out fully alive and I played it tonight to the crowd in the UK and it was invigorating. It was a very special moment. I think that the beauty of those moments – apart from the fact that the song exists out of nowhere where it didn’t before – is that it is still a mystery to me even though I am the one that wrote it. I am still trying to understand it, so I too get to learn about the song. There is meaning in there for me to find. I know the initial meaning, but songs have layers. When they spring forward like this, you as the writer get to peel away the layers over time. You write songs for other people. Is there likely to be a song of yours on the next Taylor Swift record? I don’t know. We haven’t really spoken about it. I don’t chase down opportunities like that. Things just happen in time if they are supposed to. I like for things to happen naturally. I think that we became friends maybe three or four years before I played at her party. We also have friends in common. The scene is not as big as you would think. The fact is that after putting that record out in the world I had no expectations. It was too improbable that people beyond my neighbourhood would connect with this. That record changed my life and it changed my life in ways that weren’t small. Eventually it changed the way that I interact with people, and it probably changed the man that I would become. They record may have rescued me from my own fate in some ways. Many of my friends from that time and place a no longer alive, and somehow that record quite literally pulled me out of that place. I also think that it is good work. Even with the benefit of hindsight that makes each writer in the world say “I would have changed this and I wish i’d changed that,” even with that caveat I am proud of it. I am so lucky that I get people to share that record with me each night. The covers EP Covered and Taped you did not so long ago, you performed tunes by Julien Baker and Sorority Noise. Both of those artists wear their heart on their sleeve. Is the subject matter of their songs something you identify with? I didn’t know it was a record when I made it. Cam from Sorority Noise had been at my house and he was on his way to the studio to meet with Julien Baker who had been to visit previously and I guess i was feeling that I wished I was in the studio with them. I recorded one of each of their songs and sent them to them in the studio with a “I’m thinking of you note”. It wasn’t my intention that the songs would come out, but that EP was essentially me just covering my friends. I make a habit of doing that pretty often. I don’t often release them, but when I do I feel like it is my attempt at making a mix tape for my fans. Hopefully my versions will be the invitation for my fans to dig deeper into their catalogues. Is it the subject matter that brings you to the music of Julien Baker and Sorority Noise? It is not the specificity of that subject matter that drives me to their music – although I struggle with mental health as we all do to some degree or another. I don’t think that they write songs with that singular brush. I think that Julien is probably the most multi-faceted point of view of any artist I have met period. She is possibly the best singer-songwriter I will ever know.